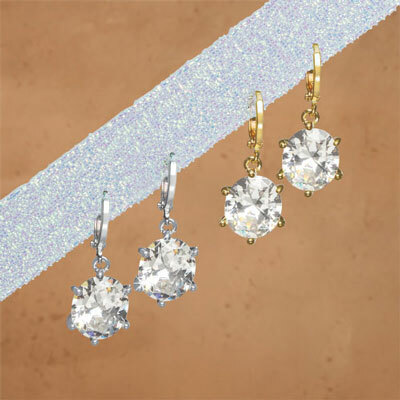 Elegance and charm come together in these faux diamond Dazzling Solitaire Earrings that boast heirloom good looks and appeal. Large, faceted crystals hang demurely from settings. Safety lever clasp backs. 1"l.